← My Google Trip to Florida Update, Sad Tragic Update! 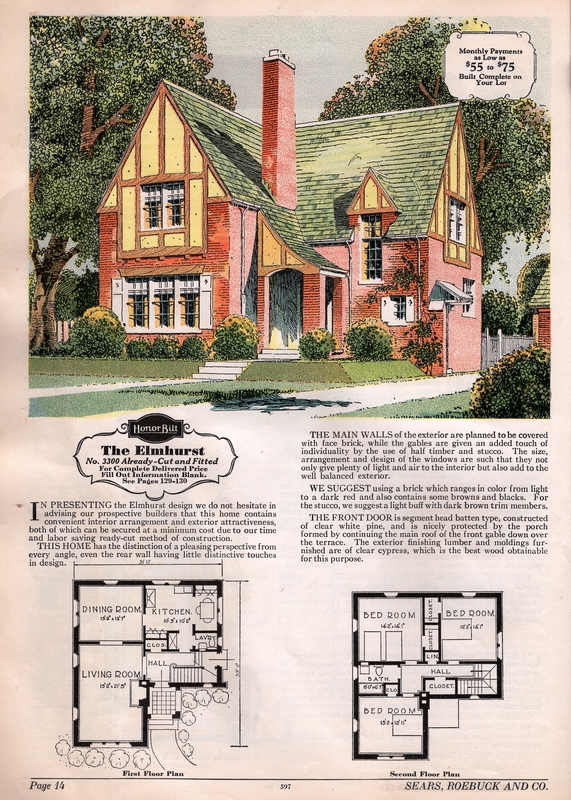 There is a facebook group for Sears homes enthusiasts, if you can imagine that! I’ve been an active member of that group since it was started about four and a half years ago. There are a handful of die-hard researchers. 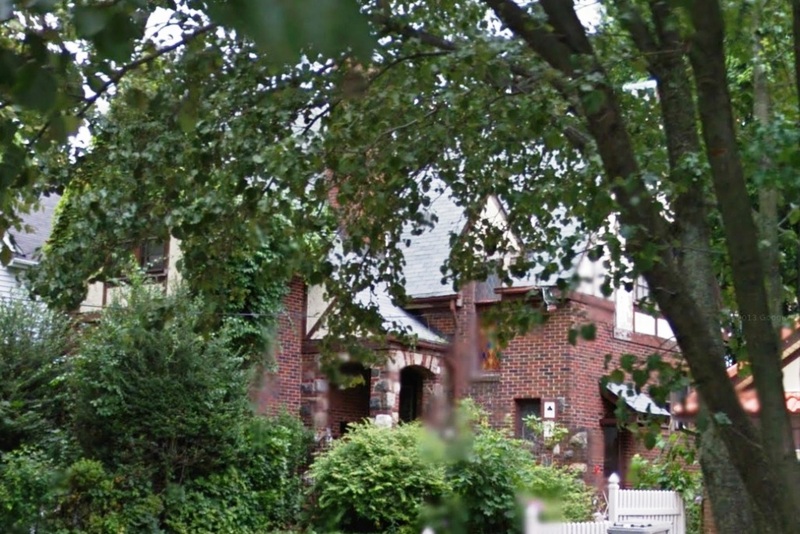 One of the recent exciting discoveries was a rare Sears house. That rare house is the Sears Elmhurst. 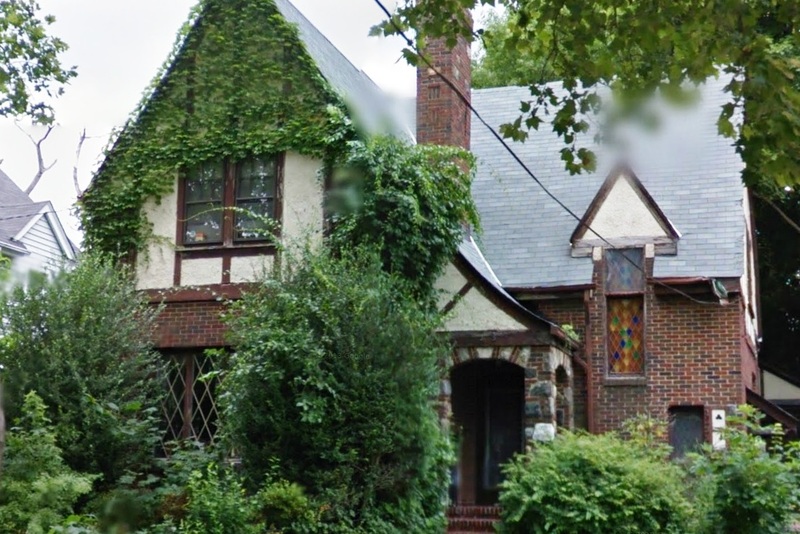 What makes this house unique and an awesome find is the fact that it was only offered for a few years, 1929-1932, so that means there are not many out there. It makes the hunt more fun I think. I can count on one hand how many have been discovered so far. There is one in Illinois and one in North Carolina. Then recently Rosemary Thornton was able to see the inside of an Elmhurst built in 1932 in Saint Louis Mo. 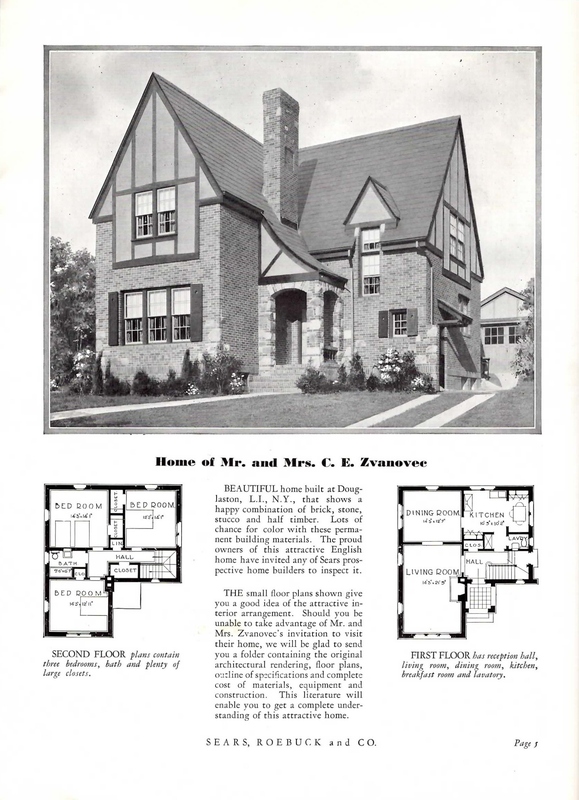 In 1929 Sears Modern Homes introduced a new line of homes. 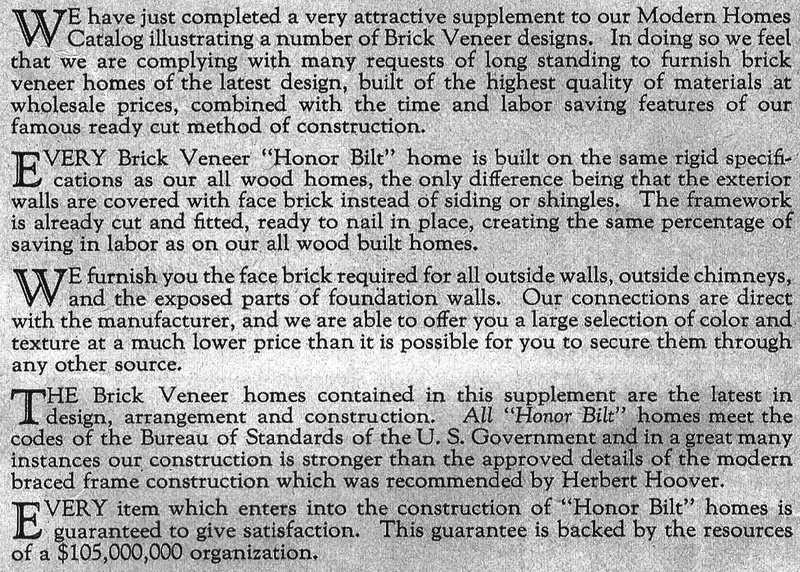 Those homes were brick face home of current models they offered. 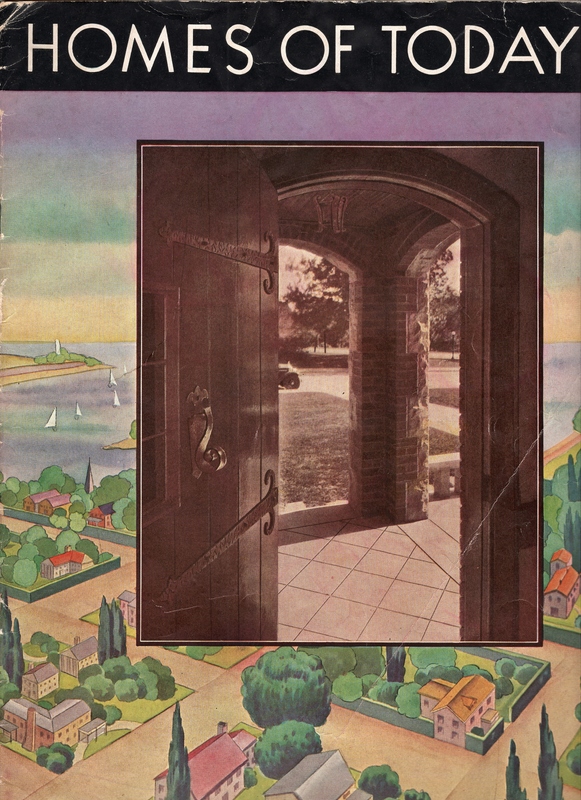 This is the special catalog that was published in 1929. 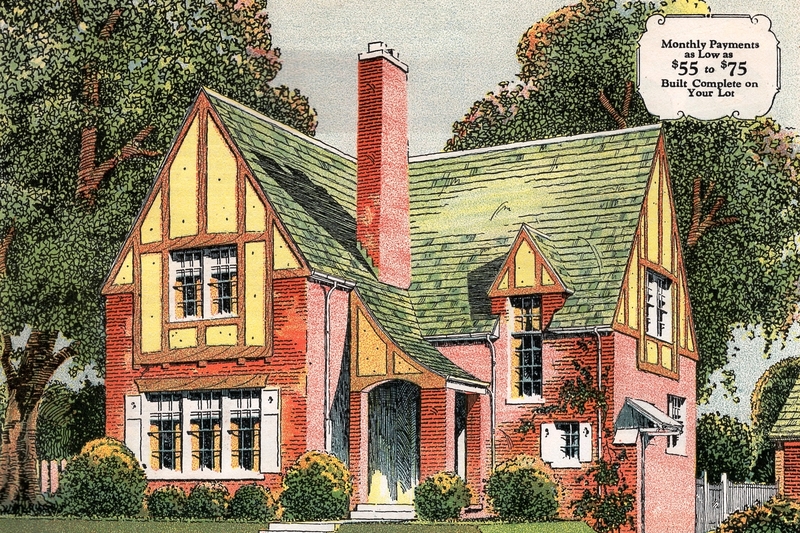 I have a Sears catalog that features testimonials of special houses ordered from Sears. It was published in 1930. I have been working my way through it and finding the homes featured inside and I have found most of them. In that testimonial catalog is a testimonial for a Sears Elmhurst! 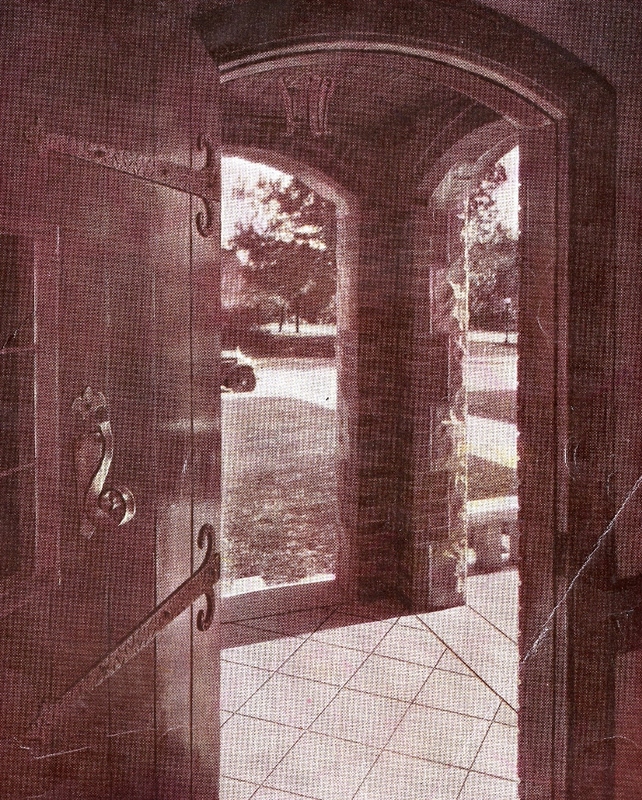 Remember this catalog of testimonials was published in 1930 and the house was first offered in 1929. 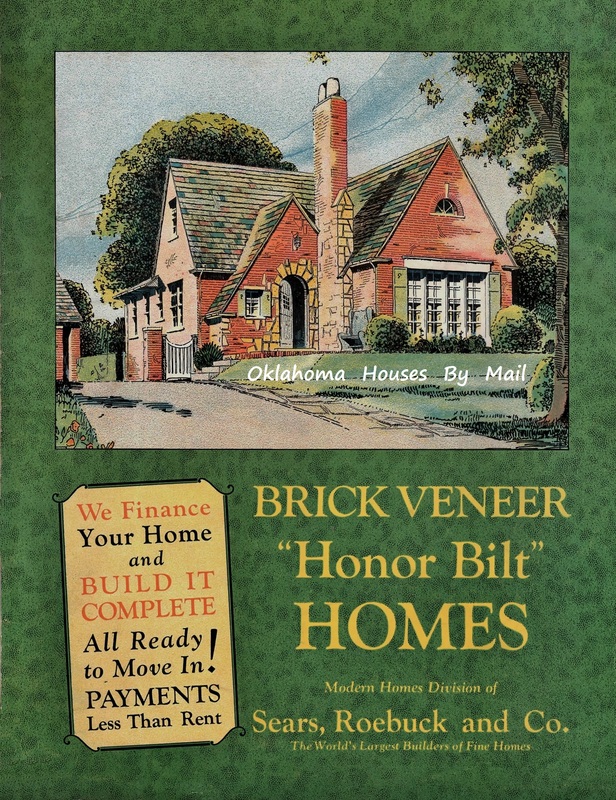 If you consider mail order time, shipping time and then building time I think you can be pretty sure this house was ordered from the special catalog that introduced the brick veneer homes in 1929. 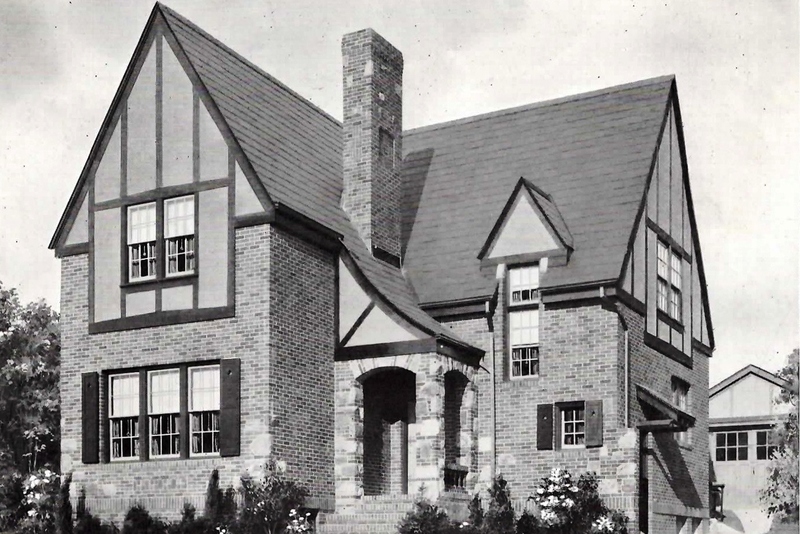 In 1929 and early enough to be completed by 1930 an Elmhurst was constructed in Douglaston, Long Island, NY. I set out to find that house, of course! This one wasn’t easy either! The Zvanovec testimony house for comparison. How awesome is that? I squealed with delight! 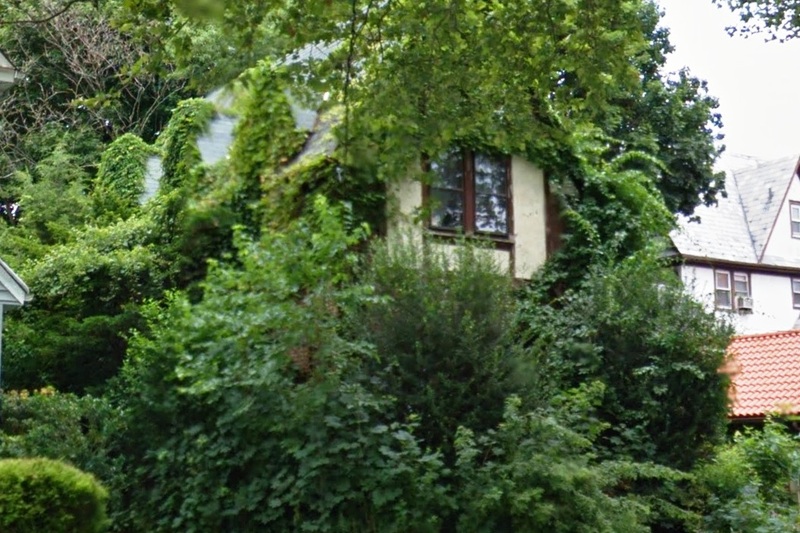 Yes, there are three windows under that ivy just like the plans show! 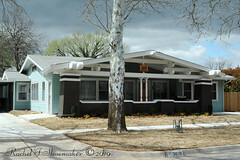 I am a Tulsa County Master Gardener and boy I would love to re-landscape that house! Ivy can get away from you if you don’t stay on top of it. That’s quite a house! Let’s look at the floor plan. Another angle of the Long Island Sears Elmhurst that Mr and Mrs CE Zvanovec built. This catalog image lists the specifications. I would show you the inside if I could. Remember that entryway from the testimonial catalog? Surprise….that is the entryway to the Elmhurst. To see THAT EXACT door click here. I found that Elmhurst too! 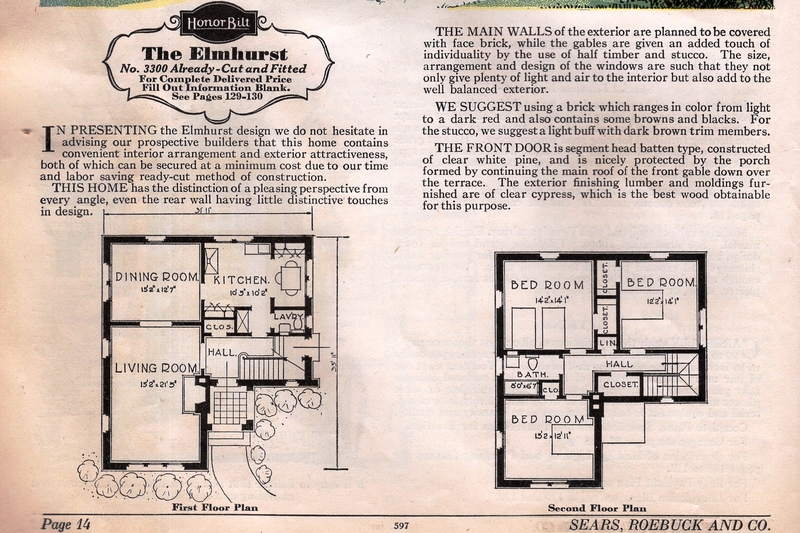 What a beautiful house the Elmhurst was and only four known and verified at this time! Do you know of a Sear Elmhurst? Remember it was only offered between 1929 and 1932 so the likely build dates will be 1930 and 1933. If you do send me a message and I’ll check it out. If you love the Sears Elmhurst then keep an eye on this flickr album where I upload them. 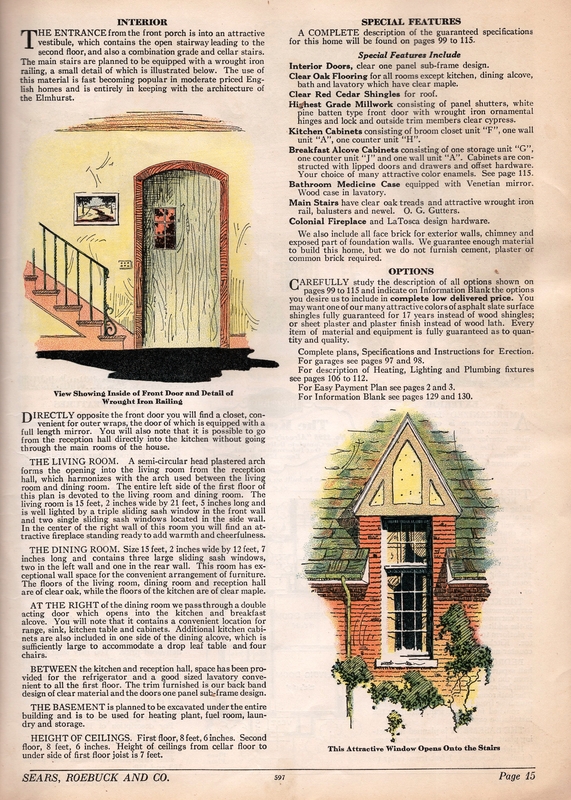 This entry was posted in Kit Homes Around the Country and tagged Aladdin Homes, Aladdin Readi-Cut, American Four square, Bungalow, Elmhurst in Ohio, Farm House, Gordon Van Tine, Historic House, Houses By Mail, Kit Homes New York, Kit Homes of Oklahoma, Mail Order Homes, Mail Order House, Montgomery Ward, New York Sears House, Sears Catalog, Sears Elmhurst, Sears Elmhurst in St Louis, Sears Elmhurst New York, Sears Elmhurst Ohio, Sears Homes, Sears Honor Bilt Elmhurst, Sears Honor Bilt Ohio, Sears House, Sears Kit Homes, Sears Modern Homes, Sears Roebuck Homes, Tulsa Sears House Lady, Wardway Homes, Zvanovec House. Bookmark the permalink. How that’s quite a find! 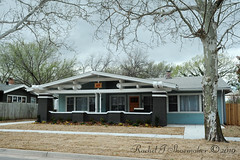 Beautiful house and I’d love to find someone who can get us a proper photo!!! I sent a quick note to the homeowner. I hope to hear something and maybe they will send us some photos!